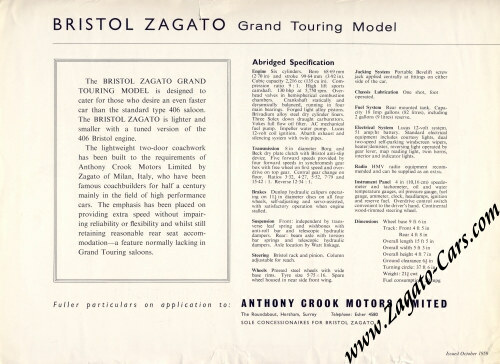 In the late 1950s, whilst the Type 406 saloon was actually in production, some other notable designs were commissioned to be executed on the Bristol Type 406 114 inch wheelbase chassis. 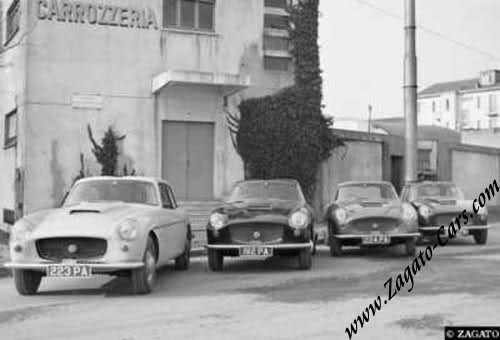 These were 6 Fixed Head Coupé cars by the Styling House of Zagato in Milan, Italy. A seventh but shorter 102 inch wheelbase chassis was also dispatched to be bodied. All were executed as fixed head coupés. The 6 cars on the 114 inch wheelbase chassis each differ from their predecessors in some detail. 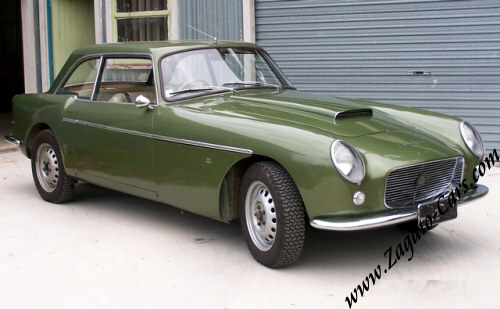 It is thought that these cars were created as a venture independent of the the Bristol Aeroplane Company Ltd, as they were sold through a leading Bristol agent of the time, rather than the Manufacturer. 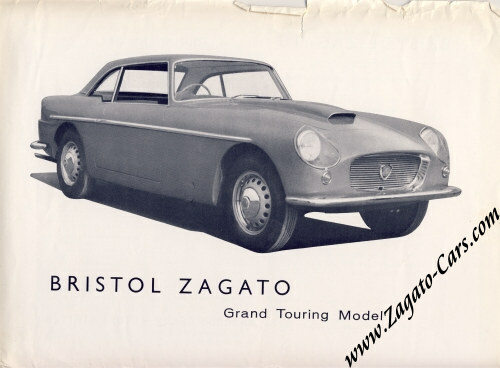 Here is an illustration of one of the cars created by Zagato on the 114 inch wheelbase chassis. It had just been refurbished when this was taken. Note the lazy Z line in the kick to the rear wing: this was a recurring feature of Zagato styling. 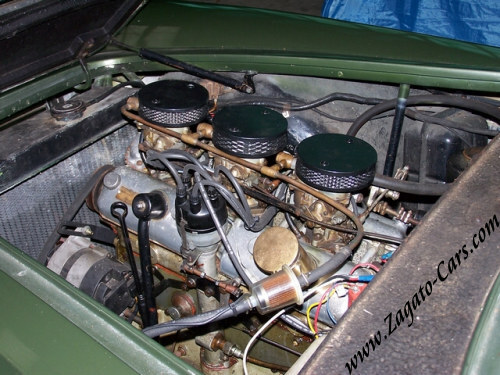 Note also the fared-in headlamps; the channelled Roof detail; the purposeful scoop on the bonnet to vent airflow to the engine's triple carburettors; and the much larger aperture for the radiator grille. Unlike the Type 404, the all round visibility in these 2+2 fixed head coupés is excellent. 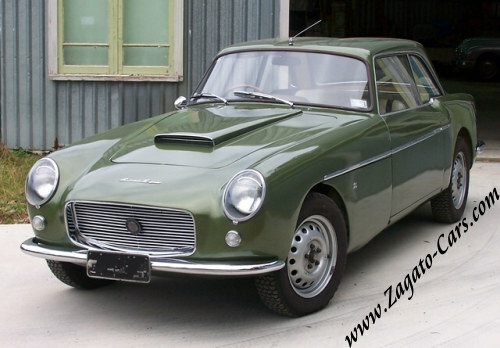 As was mentioned previously, another car was built on a shorter chassis by the Zagato Factory: this was coded the 406/S/P2 and was in fact the last car delivered from this batch in 1960. Two other designs were built much earlier by the Bristol Factory and one, on the 102 inch wheelbase chassis, was coded 406/S/P1. The Second car, based on the normal 114 inch wheelbase chassis, was coded 406/L/P1. This development car was in fact chosen to provide the basis of the full 4-seat configuration used for the Type 406 production series. It was used to convey HRH Duke of Edinburgh on his visit to the Bristol Factory and held by the company for some time before it was sold on.